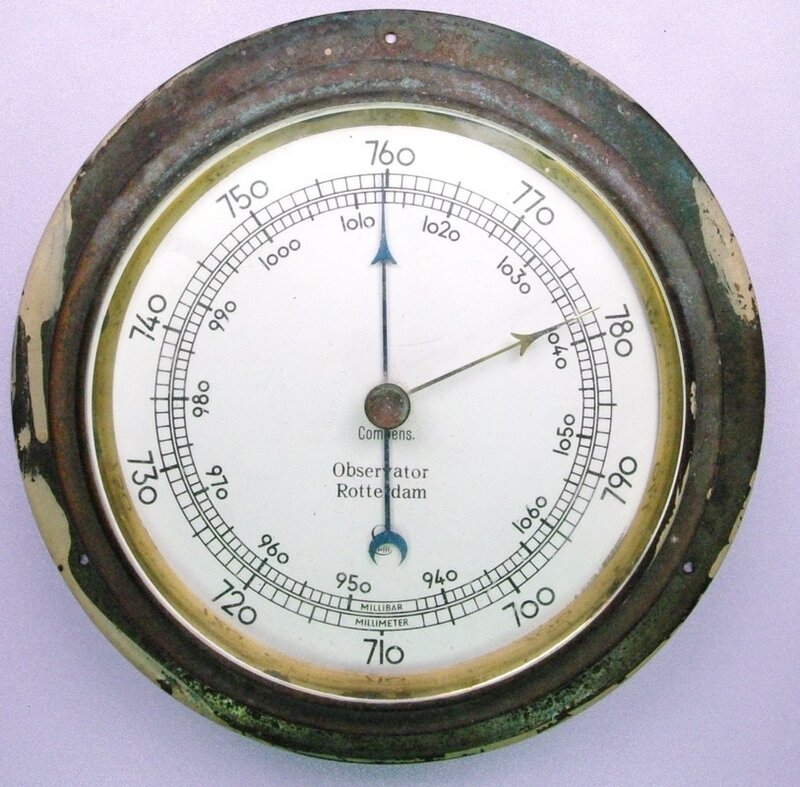 This marine barometer is labelled Observator of Rotterdam but was actually made by Lufft, as evidenced by the Lufft logo. The dial face is approximately 6 inches in diameter. I don't have a date for it but I suspect the 1980s. Go to Observator catalog page.